For patients receiving stem cell transplants, some simple but important precautions to promote the proliferation and diversity of healthy gut bacteria could be imperative. Recent research links this "friendly bacteria" to post-transplant stem cell survival rates. The community of microorganisms in the digestive tract, also called "microbiota," is an important part of the immune system because it wards off an armament of diseases. In the study, published in the journal Blood, stool samples from 80 patients revealed that those with the most diverse microbiota have a 67 per cent rate of post-transplant stem cell survival rate, while for those with the least diversity that number dipped to 36 per cent. "These results further underscore the significance of the gut microbiota in allogeneic stem cell transplant. A major question is whether we can improve outcomes by preserving diversity within the gut microbiota," said senior study author Ying Taur, MD, MPH, of the Lucille Castori Center for Microbes, Inflammation, and Cancer at Memorial Sloan Kettering Cancer Center. Maintaining diversity in the microbiota depends on a balanced diet. Well-known to promote digestive health, fibre is a good starting point, found in whole grains, spinach, cauliflower, carrots, wheat bran, apples, broccoli, beans, figs and pears. Fermented foods like yogurt are known to contain probiotics, which is essentially a lay term for microbiota. 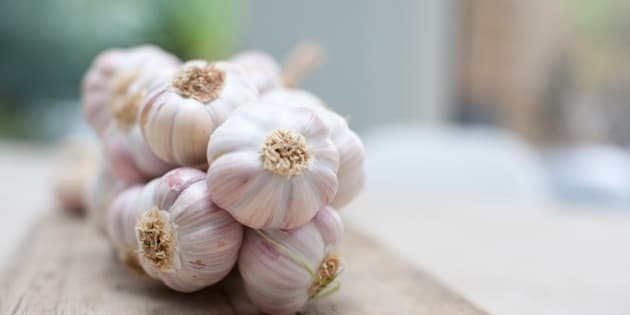 Other foods like bananas, asparagus, onions and garlic have been identified "prebiotics," as they contain fiber compounds that pass undigested through the stomach, promoting diversity in microbiota as they go. Recent research says white bread might promote diversity in microbiota, potentially saving the food from its reputation tarnished by whole grains. Working with their national rugby team, researchers in Ireland are the first to report a link between exercise and the proliferation of healthy gut bacteria in a study published in the journal Gut. "Our findings indicate that exercise is another important factor in the relationship between the microbiota, host immunity and host metabolism, with diet playing an important role," said the authors in a joint statement. Even for those not planning a stem cell transplant anytime soon, healthy gut bacteria is getting more and more attention in the scientific and healthy lifestyle communities. "Understanding the complex relationship among what we choose to eat, activity levels and gut microbiota richness is essential," says Dr Georgina Hold, of the Institute of Medical Sciences, Aberdeen University, in an editorial linked to the Irish study. "As life expectancy continues to increase, it is important that we understand how best to maintain good health. Never has this been more important than in respect of our resident microbiota."